In early September, some of the the TF team travelled to Santiago, Chile to meet with representatives from Hospital Luis Calvo Mackenna (HLCM) and Fundación Gantz, a Chilean non-profit organization with a full cleft team and clinic, to discuss capacity building opportunities with our Latin American partners. 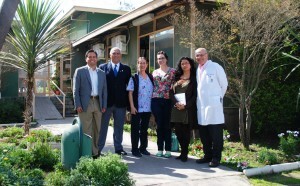 The team observed the operations at HLCM and Fundación Gantz and discussed possible future partnership possibilities. 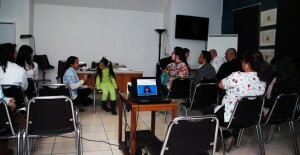 The team also travelled to San Miguel de Tucumán, Argentina to meet with professionals to discuss the possibility of having a surgical team in San Miguel de Tucuman, in addition to our surgical partners at CEPSI, the public children’s hospital in Santiago del Estero, about 2.5 hours away from Tucuman. Patients from Tucuman travel to CEPSI for surgical procedures that Gavina cannot yet provide closer to home. We also met with CEPSI to discuss the possibility of a centre of excellence in Tucuman province.